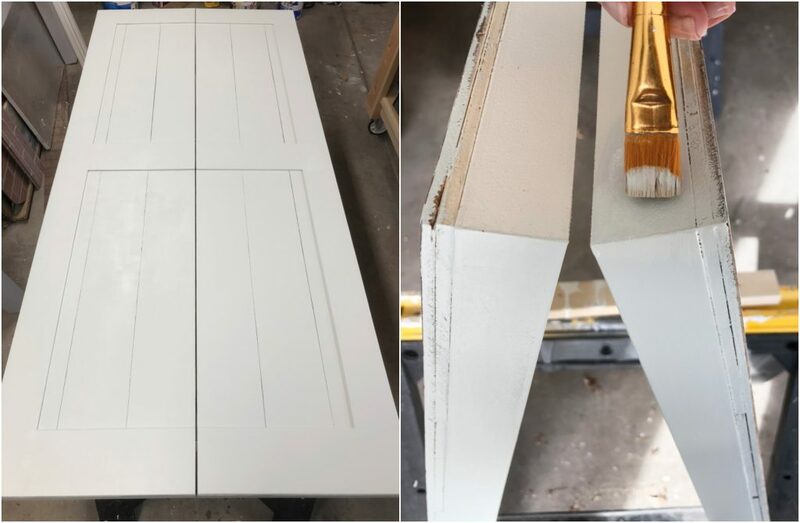 This DIY Bifold Barn Door tutorial will show you how to easily transform a closet door for $15. 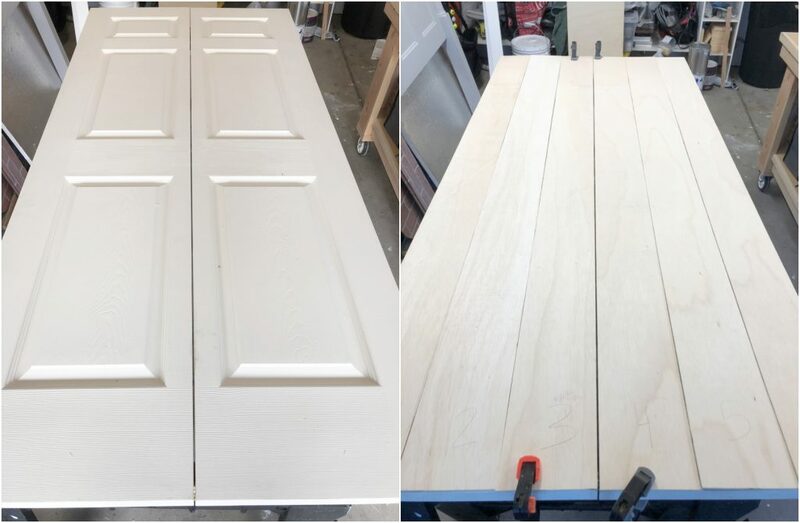 In this DIY Bifold Barn Door tutorial I will show how you can add a farmhouse touch to a closet door using a piece of 1/4 inch plywood. 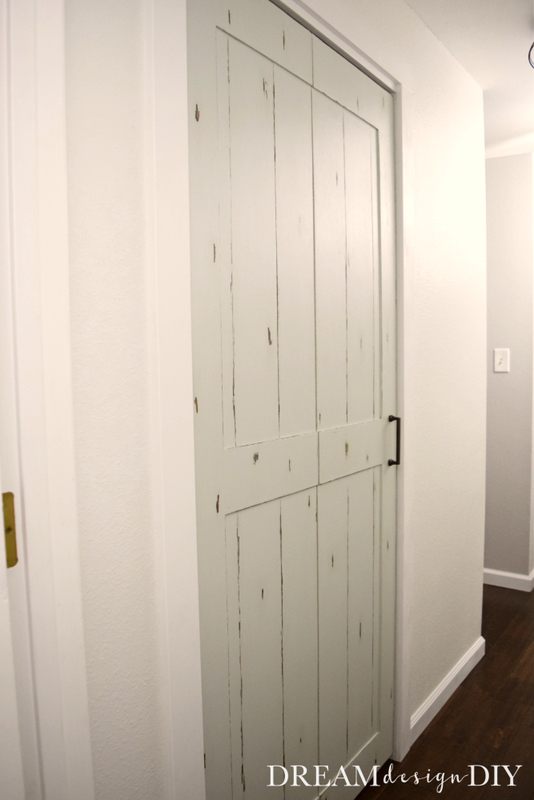 As part of my Hallway Refresh one of my goals was to add some character to the hallway by adding a barn door look to the closet door. 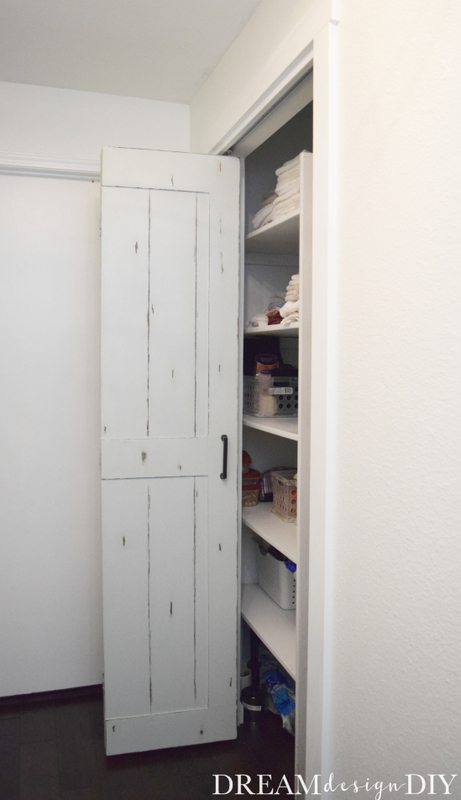 I also added Bifold Door Frame Trim to complete the look of the whole closet opening. 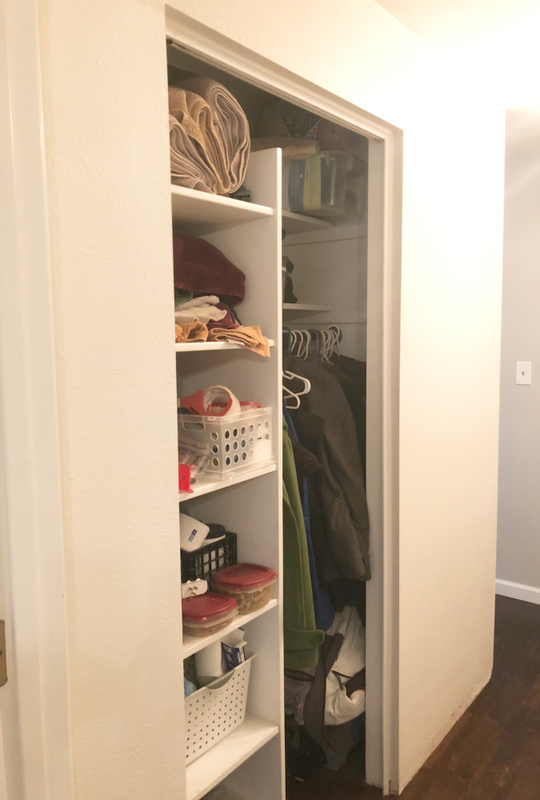 As our hallway linen closet sat open without a door for ahem I am embarrassed to say over two years my husband decided it was time to do something. He offered threatened to take care of it himself so I knew I needed to take action. 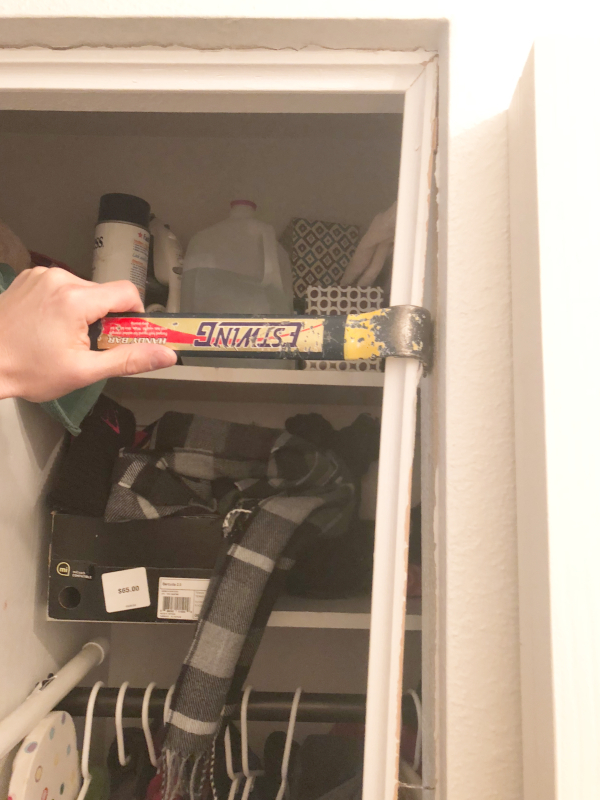 At first I wanted a sliding barn door, but with the shortness of the wall on the right of the closest, which would inhibit the door being open to clear the opening of the closet fully it wasn’t ideal. So the bifold door barn door became more of an option. 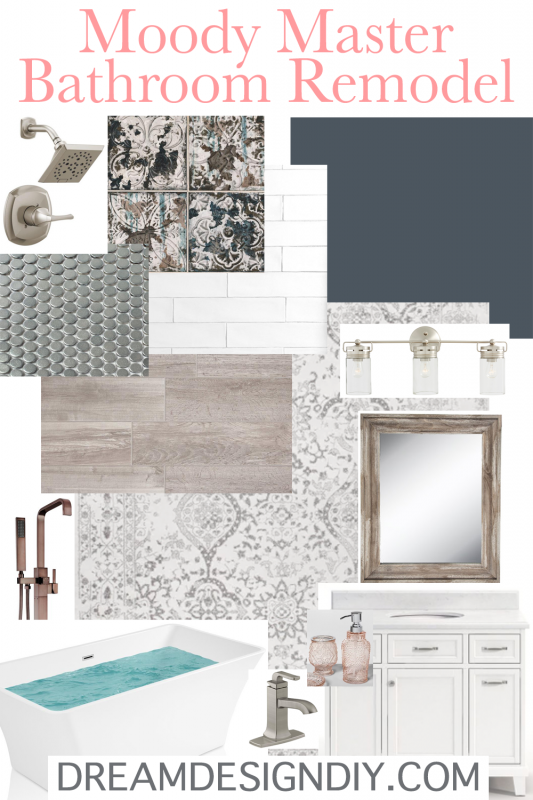 I first saw this project from my friend Erin over at Lemons Lavender and Laundry. So away we went purchasing the 6 panel hollow core bifold door. 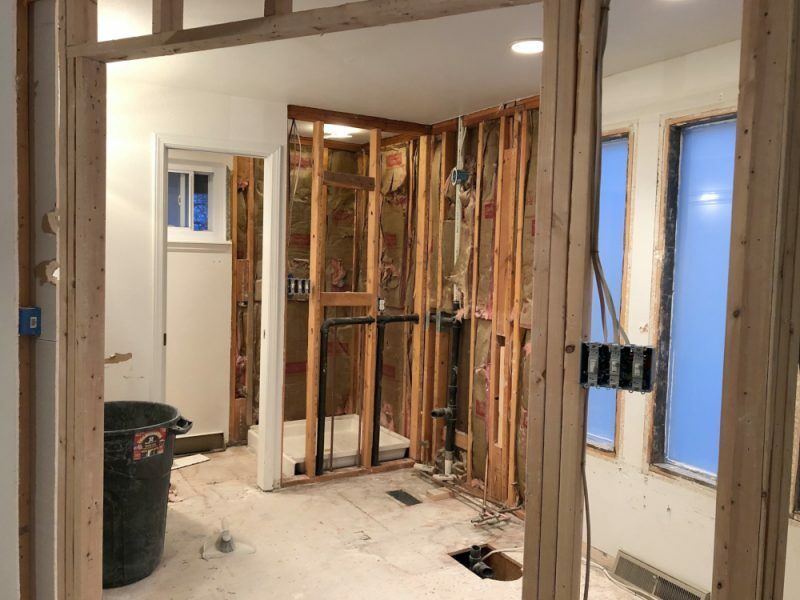 We removed the trim that was in place from previous home owners. Then we installed the bifold door. 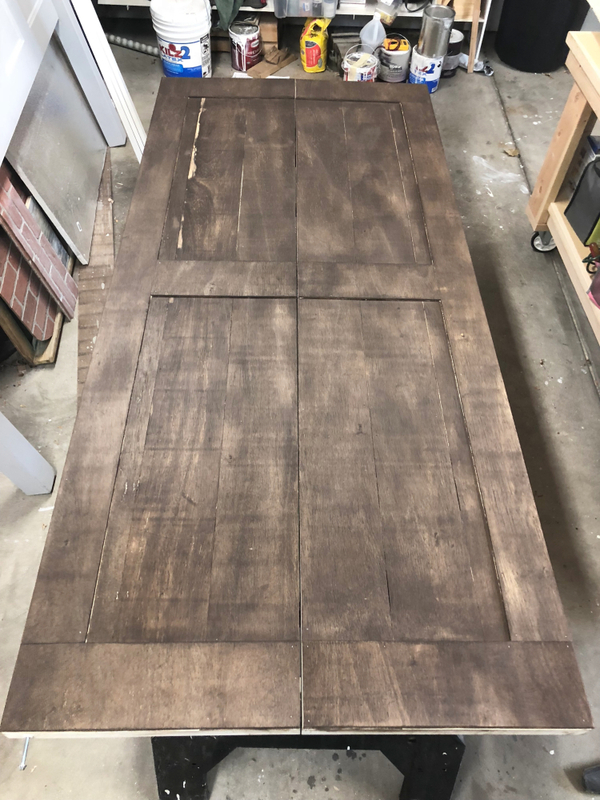 Even if I had never gotten around to making the barn door the bifold door looked 100% better then the gaping hole…but don’t tell my husband that. 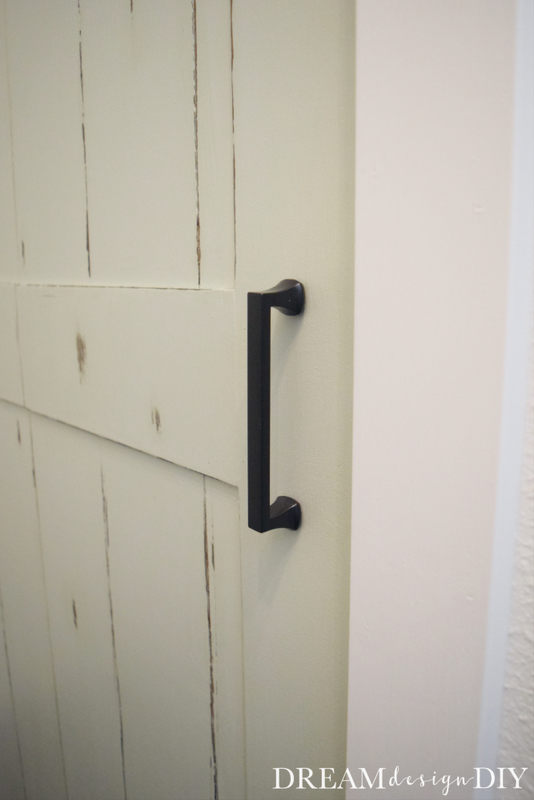 There are many different styles of barn doors. I wanted a more simpler style and didn’t want to deal with any angles. *Before you get started make sure you have your Safety Gear. For this project I recommend safety goggles, ear protection and N95 mask for staining. Bifold door – this is the bifold door we bought – make sure to buy the correct bifold door for your closet opening. *If you don’t own a table saw have your local hardware store cut them for you. *Your cuts with vary depending on the size of your particular bifold door. Despite what the bifold door packaging said the door actually measured 78 3/4 x 35 1/2 inches. *Please note that all sizing is approximate. Measure twice cut once. The bifold door measured app 17 3/4 for each folded side. *Measure these last after everything is already applied. Step 1) I laid the bifold door flat on some saw horses. 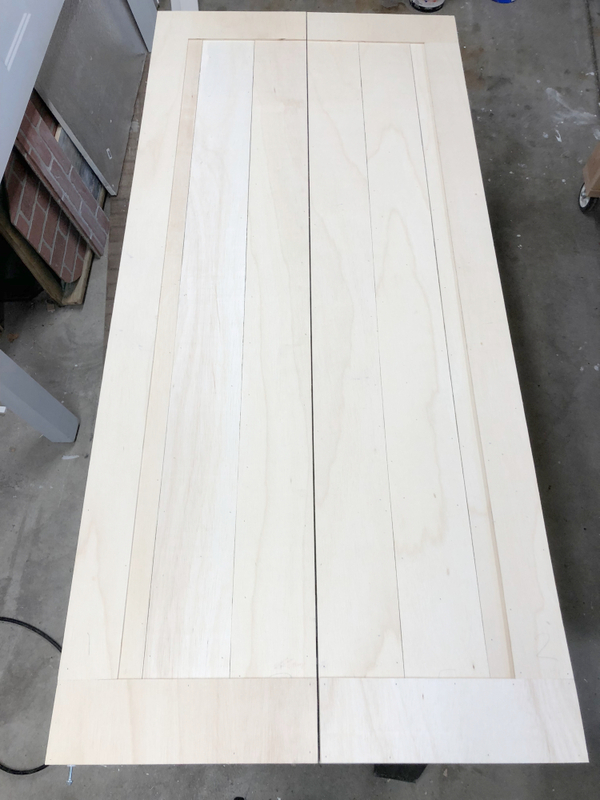 I tested my cuts by dry fitting the planks. Once I was happy with them I numbered the planks with a pencil for easy placement. Next I applied Liquid nails and nailed the planks to the bifold door. Remember do not apply the planks over the fold. I used a craft stick to slide it between the fold to keep the layers even. If my cuts were off on any of the edges I wasn’t too concerned since the second layer of planks would hide the imperfections. Step 2) For the second layer I added top and bottom horizontal planks, gluing and nailing like in the first step. Then I added the two vertical side planks. 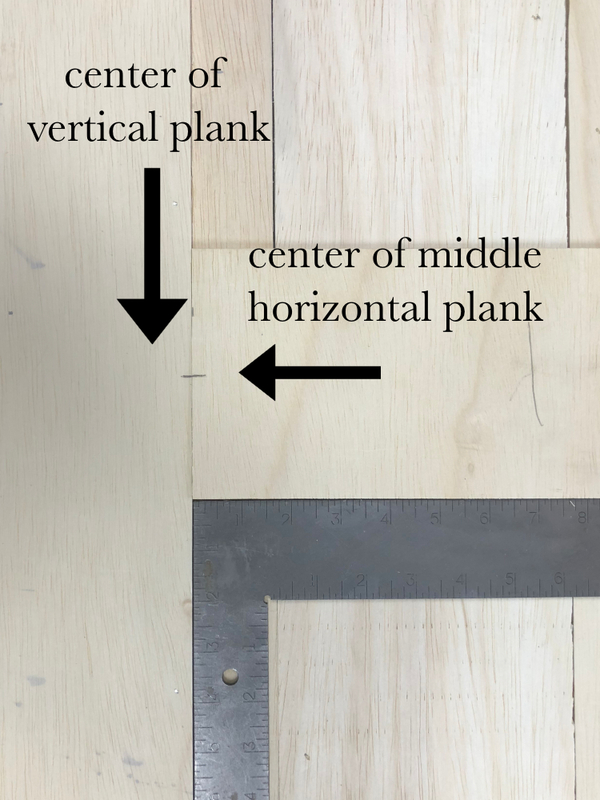 To attach the middle horizontal plank I marked and lined up center of the vertical side frame and the center of the middle of the horizontal piece. Then I used a carpenter square to align it in place. Step 3) I applied wood filler to the nail holes and sanded it. Then I applied Kona stain. If you plan on leaving it stained beware that you can’t stain over liquid nails. If liquid nails seeped through like in this case sand the area really well then reapply the stain. I didn’t worry about it since I was covering it with paint. Step 4) I applied two coats of Sea Salt paint over the stain. The reason for the stain is that once areas of the paint are sanded off then you will see the stain peeking through underneath like it would appear from years of warn away paint. Also don’t forget to apply the paint to where the door folds as well. I recommend doing this before sanding. I unfortunately did this after sanding and I had to touch up some spots. I sanded off several areas and the edges to give it a worn/rustic look. Once I was satisfied I applied a sealer. 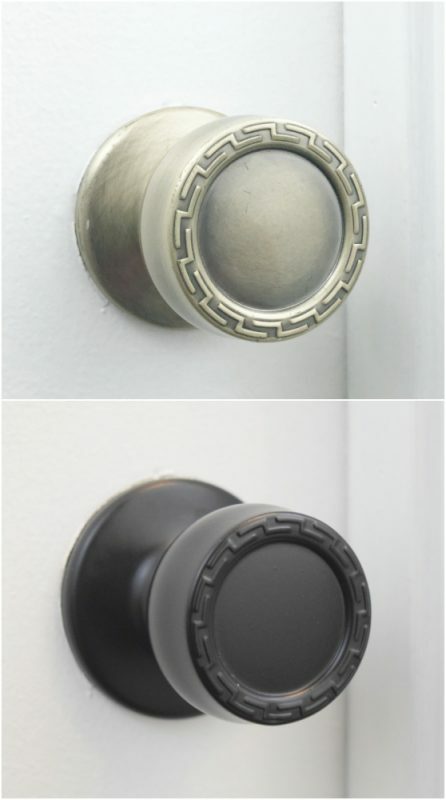 Step 5) I added the door handle. Then we placed the new barn door back to cover the gaping hole. I am so in love with it! 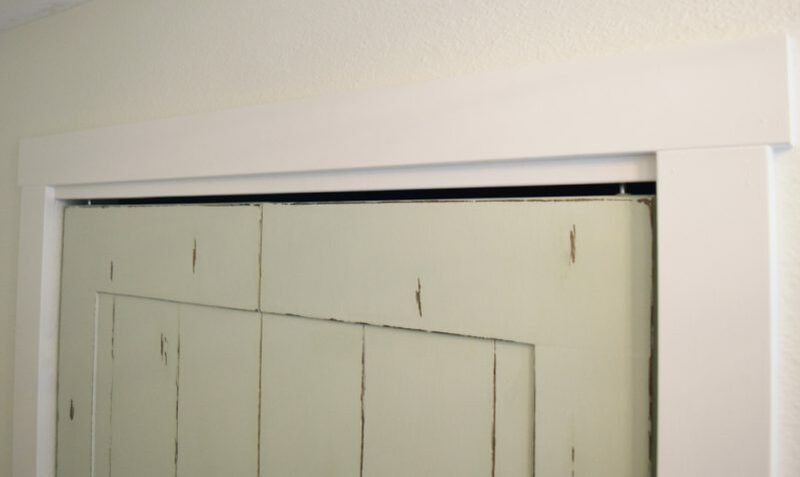 *A few things to consider: The extra planks will increase the depth of the door. Make sure the bifold door is installed far enough back that it doesn’t stick out further than the wall. The extra weight added to the door does risk pulling the door down, however this wasn’t a problem for me…but something to consider. 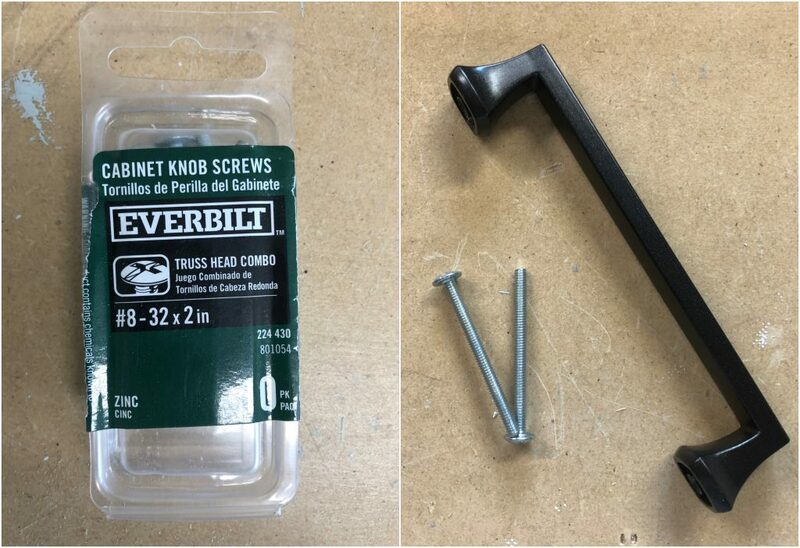 Consider where to install the handle. Where I ended up installing it is a little more difficult to open that if it is closer to the center. 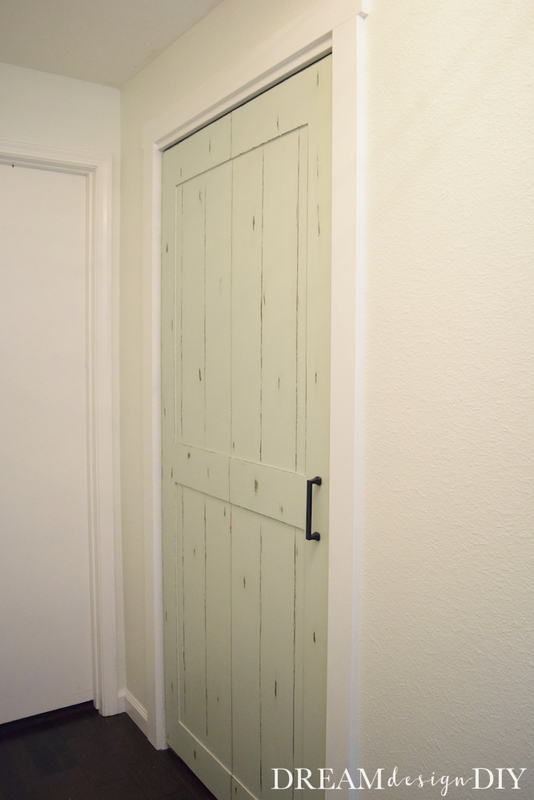 Now you have a budget friendly way add character to a space by transforming your closet doors! Looks great! 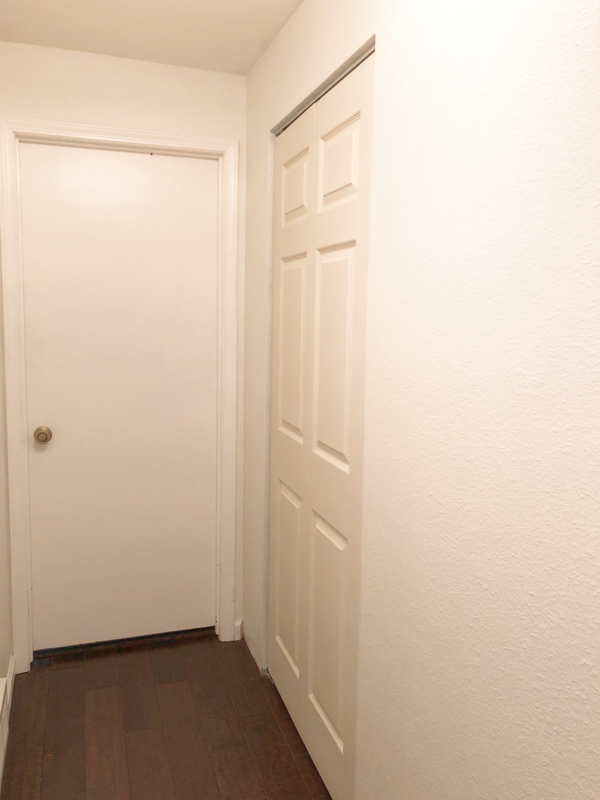 Now I wish I had a door to do….oh, wait, I could do the bypass doors downstairs! Thanks for sharing! Thanks so much. I hope you get to do the project. Make sure to share if you do. Would it be possible to convert a louvered bifold door into a barn style? That is a good question. I am not going to say that it is impossible it just might be a little more difficult as you don’t have as much of the surface area for the planks to adhere to. You could try gluing over the louvered areas but you wouldn’t be able to nail over those areas. You would be able to nail over the frame of the louvered door though. I hope that helps. 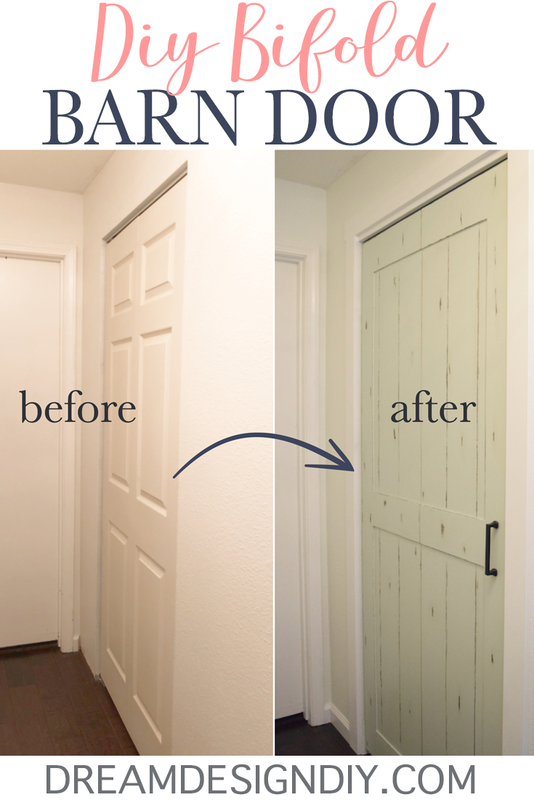 also, a louvered door fits into a door jam differently than a bifold door does and i think that would mean you couldn’t put the ‘barn’ wood all the way to the edges of the door. Thanks Gwen for your help with answering this question.